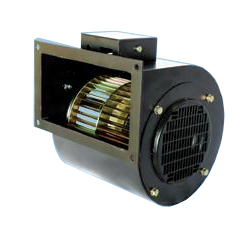 These Blowers normally use forward curved impellers made of galvanized steel, which are press fitted on the Rotor of External Rotor Motor, making the unit compact. 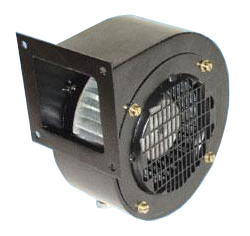 Single inlet signifies that the Air is drawn from one side of the Blower only. The Rotor with impeller is dynamically Balanced in two planes, for vibration free running during its entire life. The assembly of Motor and Impeller is essentially mounted in a technically designed Housing for optimum performance. The External Rotor Motor is cooled with the air stream flowing over it.